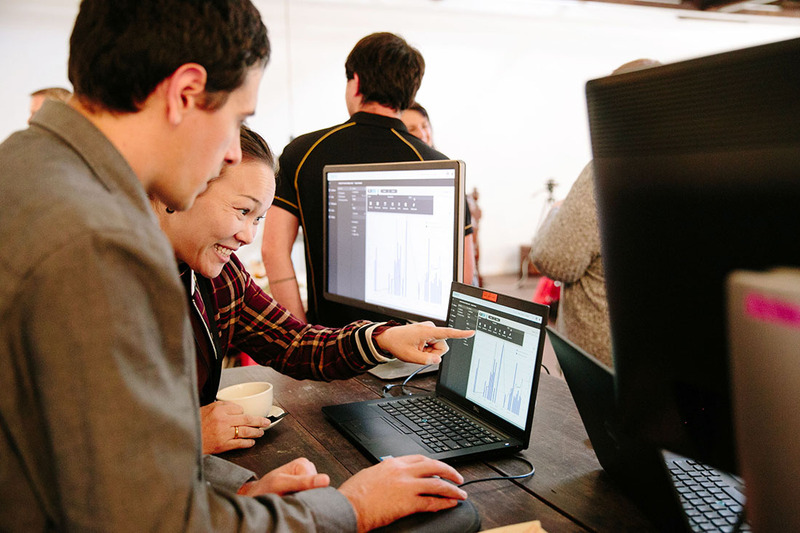 Perth-based GIM Suite software users and Nova Network Partners were the first to receive a preview of acQuire’s next software release, GIM Suite 4. The special edition of acQuire’s user seminar, GIM Jam Mastermind, was hosted at the Flour Factory in Perth city last week, giving geoscientific information management experts an in-depth look at the newest features coming their way. acQuire’s upcoming software release is the first step on the road to the mine of the future, introducing a raft of powerful web-based functionality in a new interface called Arena. The interface gives database managers new configuration tools in a web environment allowing them to create interactive dashboards and drilling reports tailored to their end users’ needs. GIM Suite 4 release highlights were presented by acQuire’s product team who also gave live demonstrations of the software in action. Attendees also had the opportunity to play with a demo version and take their time asking the product team any questions they had about the future release. Attendees also took advantage of a workshop session exploring ideas about how information is accessed in dashboards and what types of information is most valuable for database managers and teams. A range of ideas were presented with flexible report design options; seamless interoperability and third party software integrations; high level data snapshots; and greater security of data through role-based user views all common themes throughout discussions. 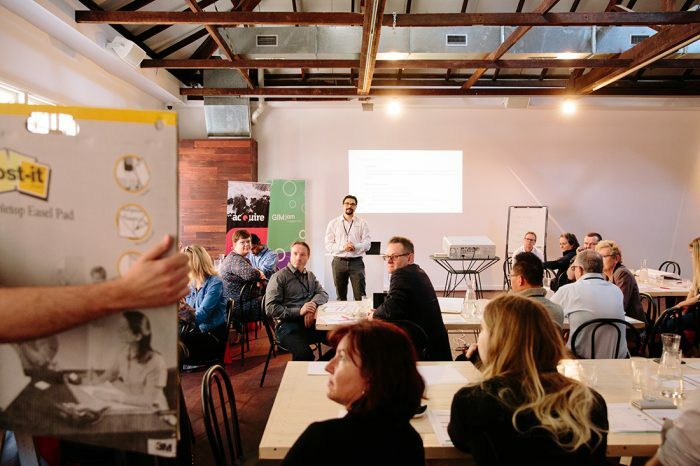 The Perth event was the first in a series of four, with the next special edition of GIM Jam Mastermind being held in Santiago on 16 November, followed by Brisbane on 19 November. The final event of the series lands in Vancouver on 31 January during AME Roundup. GIM Jam Mastermind events are platforms for data management specialists, geologists or technical professionals working in mining and exploration to discover the latest technology, meet other geoscience data experts and connect with industry peers in the geoscientific information management (GIM) space. To register for an upcoming event, head to our Events and Bookings page. To keep up-to-date on our upcoming release and technology news, sign up to our monthly newsletter here.